Titleist 818 H1 and H2 hybrid review: the new Titleist hybrid incorporates driver technology - but does it work? What more do you want in a new club? I’ve had the Titleist 915 H in the bag for coming on three years. Many newer versions - from a variety of brands - have come close to dislodging it. But none have succeeded. I’ve been through a lot with this club, and it bares the scars to prove it. I’ve been to all corners of courses with it, on all corners of the world. I look down on it with fondness whenever I unsheath the headcover. It should really give it a nickname - but I’m just not that kind of golfer. But our relationship is nearing an end. Sure, I’ll keep her around for as long as possible - her service deserves as much. But the Titleist 818 is about to put her out of service. At least they come from the same family, I suppose. Or is that weird? The 818 H1 has a larger profile compared to the H2. Generally, the H1 will probably be suited to higher handicappers as there is more real estate behind the ball at address with slight face progression. Both suited our eye, however, as did the classy black, glossy finish and simple branding. Despite having a heap of technology, it doesn’t look cluttered or busy on the underside. 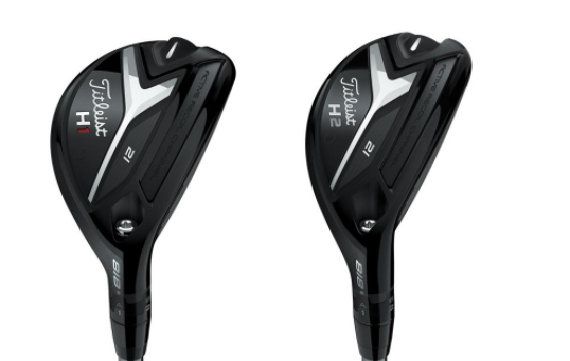 Very similar to previous iterations from Titleist. Very responsive and powerful off the face. You definitely know when you get one right out of the screws. We saw a small increase in distance on the 816, which is always helpful, and improved ball speeds. We also benefited from increased forgiveness, especially when moving horizontally away from the centre. The SureFit CG System, seen in the 917 drivers, allowed us to switch around weights to dial in spin and launch, for maximum distance gains. It launches higher than previous models, which is useful for attacking greens. Longer and more forgiving than previous Titleist models, while the SureFit CG system allows for increased customisation.